A Brightline train struck a pedestrian in Boca Raton on Thursday afternoon, police say. The crash happened around 1:45 p.m. at Camino Real and S. Dixie Highway. BOCA RATON, Fla. — A Brightline train struck a pedestrian in Boca Raton on Thursday afternoon, police say. The crash happened around 1:45 p.m. at Camino Real and S. Dixie Highway. 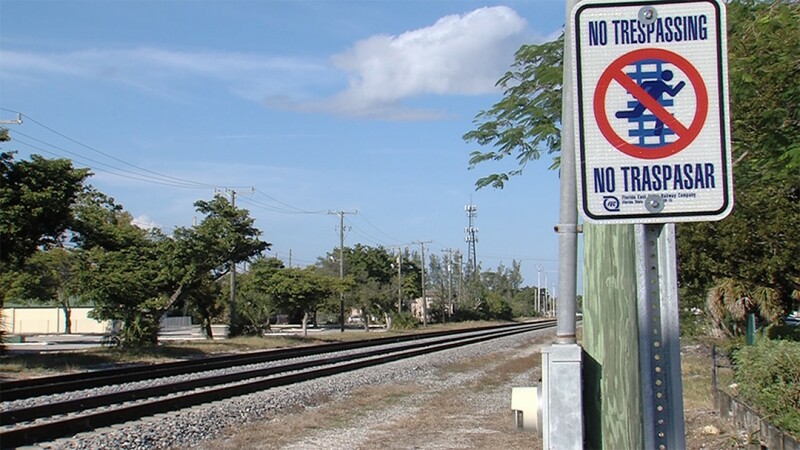 Boca Raton Fire Rescue said a man was walking with his bicycle near the tracks when a train struck his bike first, then him. He was taken as a trauma alert to Delray Medical Center. The north and southbound trains were stopped for a while as police investigated, but are running again now.